ISLAMABAD: Asserting that rebidding for the Rs309 billion contract of Mohmand dam project should be allowed to ensure transparency in the award of the contract, Leader of the Opposition in the National Assembly Shahbaz Sharif on Friday requested Speaker Asad Qaisar to form a parliamentary committee to investigate the matter. However, Mr Qaisar did not accept the demand for a probe and soon after Mr Sharif’s speech allowed federal Minister for Power Umar Ayub to speak for some time and then adjourned the proceedings till Monday evening. In his speech, Mr Sharif said if the project’s contract was awarded to a consortium that included Descon — a company owned by the family of Abdul Razak Dawood, an adviser to the prime minister — then it would be an “open case of conflict of interest”. “I am not against Mr Dawood, rather I am indebted to him, but the dam is being built at a cost of Rs309bn collected through donations and people’s money; therefore it will be against the spirit of fair play if the contract is awarded to Descon on a single-bid basis,” the opposition leader said. “The Public Procurement Regulatory Authority rules also say that in case of any controversy, rebidding of the contract is the preferred option,” he said. The PML-N president said the contract could ultimately be awarded at a lower price if the government went for rebidding. He claimed that when he was chief minister, the Punjab government awarded a number of development projects and in many cases the contractors were asked to reduce the project costs under “voluntary discount”. He urged the speaker to give a ruling that a parliamentary committee should be formed to investigate the matter and submit a report to the house within a week. Upon conclusion of Mr Sharif’s speech, Mr Qaisar gave the mike to federal Minister for Power Umar Ayub, who declined to comment on the issue. 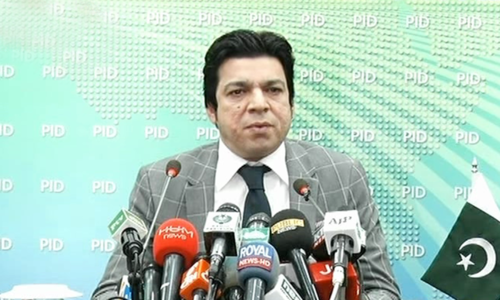 “I cannot talk about it and Minister for Water Faisal Vawda will brief the house soon,” he said. Owing to various reasons, including a controversy over the award of the contract, the government has had to postpone two ceremonies that would have marked the launching of the dam project, which were scheduled to be held on Jan 2 and Jan 13. According to media reports, the government considered the single financial bid of the consortium comprising Descon, China Gezhouba and Voith Hydro and a second consortium consisting of Frontier Works Organisation, Andritz Hydro and Power China was “technically disqualified” and its bid was not entertained. The technical bids of the two consortiums were opened in July last year and the financial bid of the consortium with Descon as a partner was opened this month, raising questions as to why the financial bid was opened after a gap of six months. However, the Water and Power Development Authority has claimed that no illegality has been committed in the process. A resolution was passed in the lower house of parliament that declared 19 districts of the country — in Balochistan and Sindh — as “calamity-hit areas”. The resolution said the people of Balochistan were facing hardship due to drought and shortage of food and many people had lost their lives. Former NA speaker Dr Fehmida Mirza assailed the PPP-led government of Sindh for neglecting the plight of people of her constituency Badin, which she said had already been hit by drought and famine. “The provincial government is giving 50kg wheat to each of the 358,000 affected families, which is insufficient for a family of eight to 10 people,” she added. In a call-attention notice, Riazul Haq, Syed Javed Hasnain and Mohsin Nawaz Ranjha invited attention of the government to the grievances of farmers, who were facing difficulties in exporting vegetables and fruits, particularly potato and orange. Mr Haq said the country got a bumper potato crop but the government had imposed additional duty on its export. As a result, its export had declined and the vegetable was going to waste in the local fields and markets. “A duty of Rs600 to Rs690 is being imposed on export of each bag of potato at Karachi, Torkham and Chaman,” he added. However, the parliamentary secretary on trade, Shandana Gulzar Khan, contradicted the claim and said the export of vegetable and fruit had significantly increased in the period from July to Dec 2018. By all means do it but also investigate the motor way project that was along with Korea the cotract was given qatar's royal family who has partnership with Saif ur rehman and we all know who said ur rehman worked for. 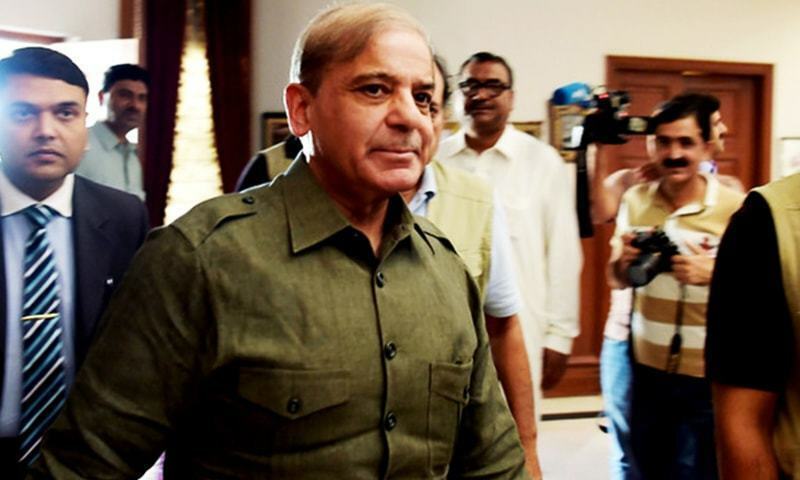 Let parliamentary panel probe dam project contract: Shahbaz This crook will never let any oppertunity go to make money! I think Shahbaz sharief does not know, it is not single biding and bidding still open, any how Fasil vawada will respond on Monday in parliament. His brother was in power when the contract was awarded. These thieves can't see any progress in Pakistan. So selfish. Now spend half the collected donations on resolving this issue. I agree with Shahbaz Sharif that they should be competitive biding before a contract of this magnitude is awarded. However, the party doing the probing should be independent and assessment and final decision disclosed. That cannot certainly be Shahbaz Sharif or Zardari because of their past history of corruption and the fact they are still going through on going investigations. I find it very funny that Shahbaz Sharif is talking about conflict of interest. Agreed. Good demand. No to favoritism! Can these crooks from PPP & PML-N tell us how many parliamentary committees were set up to review various projects during their terms in govt? it seems that both these govts have been creating obstacles for every single dam project. I wonder what their motives are? Do they want are to starve Pakistani people for water so that they can rule Pakistan in turn for years to come? We should stand up against these thugs. They only go to parliament to discuss their corruption cases and their party meetings not to pass any legislations. Look who is talking. His family went from zero to hero after setting foot in politics. It is he and his family which must be probed. @AW, silly comment. Is SS right to do demand this according to Peppra Law? He’s 100% right and it benefits Pakistan. @ARIF UR RAHMAN, what pti has done is wrong morally and ethically. According to Peppra law this is illegal. Where is voluntary discount mentioned in PPRA Regulations. Infact negotiation is prohibited. 2nd where is claim 'in the case on controversy' specified? And wow how confident to say rebidding will reduce cost. its moral duty of Shahbaz Shareef to resign .. he has no right to ask such questions. A person who is under investigation by the agency his party and his parfy’s allies created and manages (and failed to make independent or efficient) is calling for scrutiny of process for a contract - rich ; only in Pakistan. Razaq Dawood has embarrassed Imran and PTI. This is totally unnecessary. People said Razake also benefitted when he joined Musharaf government. We have to live with these opportunists as we have to move forward. GOP PM Imran Khan Sahib must go ahead with the proposed contract of Construction of Dam and it should not at any cost SOP or delayed. Keep this SS in jail that is best place for him. PTI should remain on its toes from the conspiracies of PPP and PMLN. 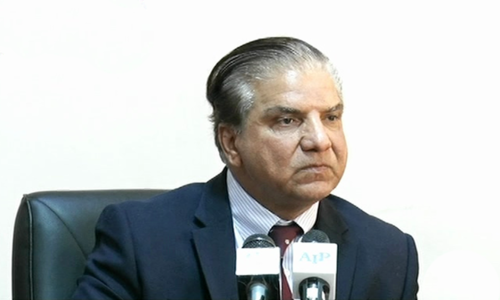 @AW, as soon as Razzaq Dawood became advisor he resigned from the post of Directorship! There isnt any conflict! Khudara Let Pakistan progress! The higest awardation of LPG to Qatar by PMLN was okay and this is wrong when even Supreme court has declared the process transparent! Joke of the day. Shahbaz Sharif talking and even complaining about conflict of interest. Shabaz, you are a looter of the country, criminals and waiting to get jail term. You do not gave any right to open your mouth about the present government. No more delys in construction of dams. Conflict of interest? really, Voluntary discounts? on over inflated bids, Rebidding what for? to lower costs, = More delays, more costs, more suffering of ordinary people, what cost 100 rupees today will cost 110 tomorrow, fact, Build the Dams now !!! Once they are built we can scrutinize the process and make comparisons with other previous projects carried out by previous administrations. It is all due to unfortunate legacy of the unpreparedness and ineptness of present govt. which has once again forestalled construction of this storage dam which has already suffered a delay of 30 years from conception to implementation. One is bewildered to understand that on one hand the new govt. is negatively publicizing LNG deal made under the similar conditions, and on the other advocating support of this obvious case of conflict of interest in a multi billion project on a single bid. This controversy which has become a bonanza & bezarri opportunity for opposition to snipe at the govt. could have been avoided, if rebidding was carried out to cast away aspersions of conflict of interest, before award/ announcement of inauguration, but in the frenzy of getting political mileage, this fiasco of bad construction management practice was allowed to happen. @Amjad Durrani Engineer USA. You wrote; "... It is all due to unfortunate legacy of the unpreparedness and ineptness of present govt..." So, you think it is either Sharif or Zardari who are the ones most skilled and suited to be in-charge of exchequer. Whose ineptness then caused 30 years of delay of dam project? Obviously it was not the present government. Besides, the new government’s five months is no comparison with the previous governments’ five decades. Even to get engineering or mathematics or any degree at master’s level takes a minimum of two years. The present government certainly has the talent to run the phase successfully as well as come out soon with an amicable solution for the dam project which is of course one of the immediate necessities. However, facts within the realm of political scientists are the manifesto of Sharif’s and Zardari’s incongruous politics held responsible of constant failures and chaos in the country. Therefore, a change was imminent that was fortunately brought by the youth majority in whose hands lies the future. Punjab needs badly Shahbaz Sharif as chief Minister now .